Is it too Late to Start Investing in Real Estate? The modern economy has a lot of individuals curious about making money from real estate. The sad truth is that most people have no clue about where to get started. If you have been wondering what you can do to invest in the real estate market the right way, you should know a couple of things first. You must develop a good feel for local property values. Knowing your market is one of the key lessons that will prepare you for investing in real estate. The cost of mortgages and rent in the neighborhood is a better indicator than financial statements when providing a picture of the house value. If you view the property from a basic level, you can better make the right decision. Learn from like-minded people. If you are reading this then you are definitely looking in the right place. 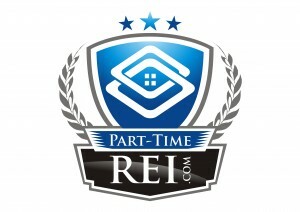 Lots of people want to get involved in real estate investments. 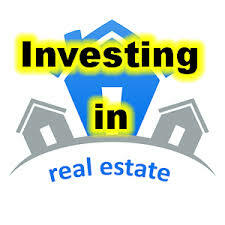 There are many groups focusing solely on real estate investing. Or you can also find many online as well. Join these groups and learn all that you can. Invest as much time in learning to achieve that investor mindset. The national real estate industry is expected to continue growing in 2014 but at a slightly slower rate than 2013. More importantly, major investors will shift out of tier one markets into tier two markets due to the high cost of real estate in the “gateway” cities. Gateway cities are cities offering the most international airplane flights and international business. Cities like Boston, Chicago, Los Angeles, New York City, San Francisco, and Washington D.C. But there are other important cities now offering a better return on capital. These include Austin, Dallas, Houston, Miami, Orange County, Portland, San Jose, Seattle, and Minneapolis. These are the types of cities that institutional investors will be investing in during 2014. You are not too old and reality is you are never going to be any younger than you are right now. 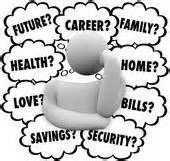 Start looking past your self-imposed age restrictions and start using your age to your benefit. Believe me – a lot of young professionals would LOVE to appear wiser and be taken more seriously than they are. Having lived it myself for the past decade, I know that age is an asset. It’s not always easy for young people to be taken seriously is the business world. If you think the market is over-saturated, think again. All signs point to go. Succeeding in any business is about finding the right solutions to the right problems. People will always live in houses and people will always be buying houses. Find your niche and become their problem solver. If you think the economy is not strong enough, keep reading. Did you know that more than half of all Fortune 500 companies were started in the midst of a major recession or a down market? It doesn’t matter where the economy is headed, you just need to figure out how your solutions will fit into the grand scheme of things. We see the current market as one of the greatest financial opportunities you may ever see in your life. Anyone who invested in real estate between 2009 – 2012 will probably tell you the same thing! Don’t allow yourself to be marginalized by self doubt. It’s never too late to get started, and if you’re asking yourself when the time will be right for you, think about what was said in this article. The only really important question is, when will you get started?